You have discovered, retrieved, evaluated, synthesized, and organized the information you need for your literature review. It’s time to turn that stack of articles and papers and notes into a literature review. It’s time to start writing. How will my literature review be organized: Chronologically, thematically, conceptually, methodologically or a combination? What section headings will I be using? How do the various studies relate to each other? What contributions do they make to the field? What are the limitations of a study/where are the gaps in the research? And finally but most importantly, how does my own research fit into what has already been done? Is there a logical flow from section to section, paragraph to paragraph, sentence to sentence? Does the content proceed from topic to topic? Does your conclusion match your introduction? Were you consistent in documenting and using the correct citation style? No matter how you decide to organize your literature review (chronologically, thematically, etc. ), it follows a format you will immediately recognize: Introduction, Body, Conclusion. We will look at each section individually. The introduction to the literature review contains a statement or statements about the overall topic of your dissertation or theses. This might be an paragraph or section that lets your reader know what your literature review is going to address. You will describe how the literature review will be organized (for example, what are the main points you are going to address and in what order will they appear?). You may choose to briefly describe search criteria (keywords, databases, journals) in this section, or you may do it in different parts of the review. It is suggested that this introductory section be no longer than two pages in length. The purpose is to lead your reader further into the body of the literature review. Demonstrate how your research either closes a gap in the literature, extends earlier work, or replicates an important study thereby contributing new knowledge to your discipline. Start broad and then narrow to show how past research relates to your project. When appropriate, cite two or more sources for a single point but avoid long strings of references for a single point. Keep your own formal academic voice throughout and keep the review focused and objective, following a logical structure. Point out consistent findings AND emphasize stronger studies over weaker ones. Point out important strengths and weaknesses of research studies OR contradictions and inconsistent findings. Implications and suggestions for further research, or where there are gaps in the current literature, should be specific. Have you clearly defined your topic and audience? Did you search and re-search the literature? Chosen the type of review you want to write? Have you kept the review focused throughout? Were you critical and consistent in your evaluation and synthesis? Is the structure of your review logical? Did you make use of feedback? Were you able to stay relevant and objective throughout? Did you maintain an objective voice? Did you cite current and older studies? (Pautasso, 2013 [https://edtechbooks.org/-ZGD]). The reference list of publications used in your literature review serves two purposes. First, it provides your reader with a means to evaluate the quality of your research. Second, accurately and correctly citing all the sources used in your work protects you from possible accusations of plagiarism. Using the words or ideas of others without referencing your source is a very serious academic offense. The reference list is a reflection of the thoroughness of your review. It also allows others to retrieve the publications you cite. Errors made in authors’ names, journal or article titles, page numbers and dates may present barriers to retrieval of articles and may prevent giving credit to authors for their work. Each reference should be checked carefully for errors. Every in text citation must have a listing in the references and every title in the reference list should connect to an in-text citation. The literature reviews generally move from general to more specific, taking in all the elements mentioned previously. Distant to close – the most distantly related to your work leading to the most closely related to your work. Chronological – earliest related work to most recent related work. Compare and contrast valid approaches, features, characteristics, theories – that is, one approach, then a 2nd approach, followed by a 3rd approach. Fill in the topic outline with brief notes. Do not write a string of annotations. Cite two or more sources for a single point, but avoid long strings of references for a single point. Consider using e.g. when there are a large number of sources for a single point. Emphasize stronger studies over weaker ones. Point out strengths and weaknesses of the research cited. Point out consistent findings in a body of literature. Point out contradictions or inconsistent findings as well. Indicate when previous literature reviews are cited. Like any effective argument, the literature review must have some kind of structure. For example, it might begin by describing a phenomenon in a general way along with several studies that demonstrate it, then describing two or more competing theories of the phenomenon, and finally presenting a hypothesis to test one or more of the theories. Or it might describe one phenomenon, then describe another phenomenon that seems inconsistent with the first one, then propose a theory that resolves the inconsistency, and finally present a hypothesis to test that theory. In applied research, it might describe a phenomenon or theory, then describe how that phenomenon or theory applies to some important real-world situation, and finally suggest a way to test whether it does, in fact, apply to that situation. Another example of this phenomenon comes from the work of Williams (2004). Williams (2004) offers one explanation of this phenomenon. An alternative perspective has been provided by Williams (2004). We used a method based on the one used by Williams (2004). Finally, remember that your goal is to construct an argument for why your research question is interesting and worth addressing—not necessarily why your favorite answer to it is correct. In other words, your literature review must be balanced. If you want to emphasize the generality of a phenomenon, then of course you should discuss various studies that have demonstrated it. However, if there are other studies that have failed to demonstrate it, you should discuss them too. Or if you are proposing a new theory, then of course you should discuss findings that are consistent with that theory. However, if there are other findings that are inconsistent with it, again, you should discuss them too. It is acceptable to argue that the balance of the research supports the existence of a phenomenon or is consistent with a theory (and that is usually the best that researchers in psychology can hope for), but it is not acceptable to ignore contradictory evidence. Besides, a large part of what makes a research question interesting is uncertainty about its answer. 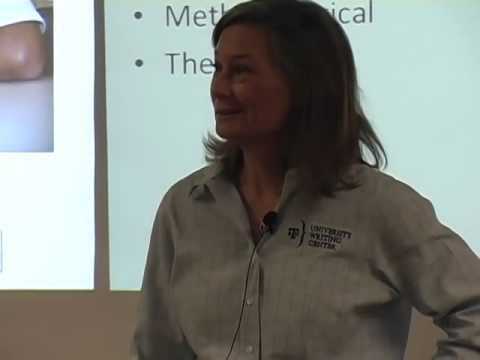 (University of Minnesota, 2016 [https://edtechbooks.org/-ZGD]). What writing problems do you see in the following introductory paragraph? In the opening chapter I have attempted to outline and motivate my study of graduate student writing in a school of nursing [or education]. The purpose of this chapter is to relate my study to previous scholarly attempts to describe, analyze and explain academic writing and the processes of its acquisition. One purpose here is to establish what has been revealed in other academic contexts as a basis for the findings of my study. Another purpose is to attempt a critical evaluation of the research so far. Review this module for more ideas on how to prepare an introduction to your own literature review. Linda Frederiksen is the Head of Access Services at Washington State University Vancouver. She has a Master of Library Science degree from Emporia State University in Kansas. Linda is active in local, regional and national organizations, projects and initiatives advancing open educational resources and equitable access to information. 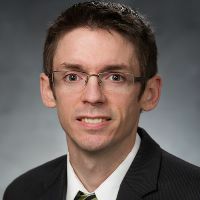 Dr. Royce Kimmons is an Assistant Professor of Instructional Psychology and Technology at Brigham Young University where he studies digital participation divides specifically in the realms of social media, open education, and classroom technology use. More information about his work may be found at http://roycekimmons.com, and you may also dialogue with him on Twitter @roycekimmons [https://twitter.com/roycekimmons].